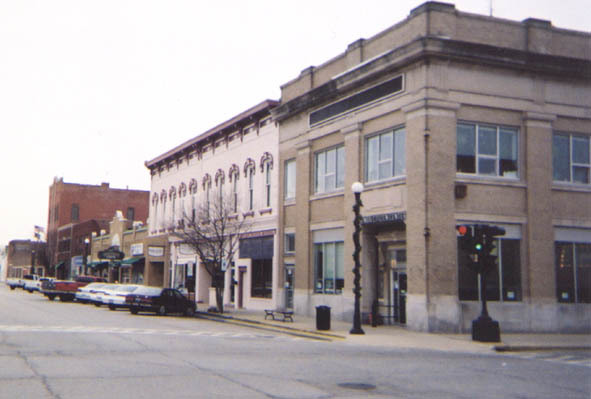 Diversity of business and industry is the economic heritage of Lincoln, Illinois. 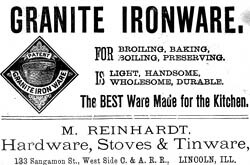 As a county seat, Lincoln has always been a retail hub for such essentials as food, clothing, building materials, and hardware. 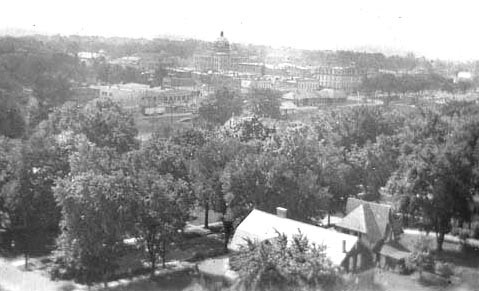 In the past, this activity was centered in the area of the courthouse square. 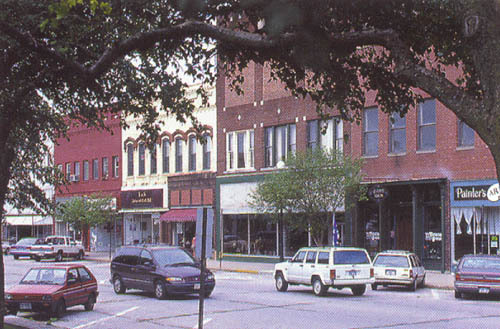 Unlike other downtowns, this area continues to be viable for general business. Yet, more and more stores are less centrally located, with a new developments on Woodlawn Road and its extension on Route 10 between Business 55 (old beltline of Route 66) and I-55. 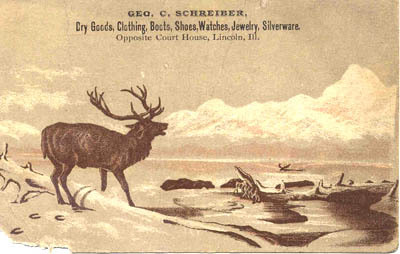 This old-time (late 19th century/early 20th century) ad card was generously provided by Dave Armbrust, LCHS noble Class of 1960 and native Lincolnite. Others Dave provided on this page are #s 17, 18, 27, 28, 41, 42, and 43. Also, other miscellaneous ads and ad cards provided by Dave appear toward the bottom of this page. 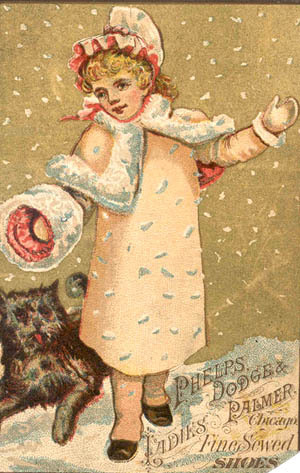 Many manufacturers provided an advertising service of selling these cards for use by specific retailers who could then have their business name and address stamped or printed on the card, often on the back. A history of businesses in this community is too large a subject for the purpose of this Web site. Here, I classify a range of business types that were important to Lincoln in mid-20th Century. I derived these categories by skimming ads and articles in the 144-page Centennial Edition of the Lincoln Evening Courier, published August 26, 1953. The broad scope of this page produces a long download time. For some business categories, I also list specific sources of information. Downtown Lincoln continues to offer shopping and professional services. Guzzardo's roof sign may be gone, but Guzzardo's continues. "Bud" Roberts Trading Center, 223 McLean; Hanger's on Kickapoo Street; Hursh Television, 524 Third Street; McQuellon's Appliances on S. Kickapoo; Pelc's Radio Lab & TV, 116 N. McLean; Thorton Appliance, 506 Broadway. I believe McQuellon's was still there when I drove past in 2002. The current Lincoln/Logan County Chamber of Commerce Community Profile and Membership Directory lists five Chamber-member banks operating in Lincoln: CEFCU, Illini Bank (www.illinibank.com), Logan County Bank, Magna Bank, and the State Bank of Lincoln. An exterior view of the office above can be seen above in 19.2 at "Parker and Son." In the above photo, note the photo of Abraham Lincoln on the back wall. "Another retro pic. I knew of this pic as I had gotten it from my aunt and had given it to the title company--before I had scanning capabilities. They were kind enough to loan it back to me [for scanning and emailing]. When I make ID's in these pics, some are certain and others are based on educated guesses from my memory. In this pic, the gentleman on the left should be Mr. Lynn (R. Parker) while the gentleman on the right is/was John R. Parker--father and son respectively. Mr. Lynn was an abstracter who purchased what later became known as (and continues to this day in a thriving manner) Logan County Title Company. It was commonly accepted as fact that Mr. Lynn had better and more complete title records than the Courthouse as the Courthouse had lost some in a fire--while his remained undamaged. His son was engaged in the casualty insurance business and real estate. My aunt, Nelva Foster -- pictured second from the right -- worked for Mr. Lynn for 40 years give or take. My mom worked for John for 35 years, give or take. The pic was long before my mom's time there. The only other ID I can offer at this time is second from the left which I believe to be Evelyn Woodward Layman (Mrs. Roy), and I feel relatively secure on this ID. I think I know one other, but await her confirming same--as well as maybe providing further ID's. necessary to maintain their business have continued to multiply over the years -- and despite innovations in technology -- a lot of their business still depends on papers in files. This brings me to why I was there yesterday -- I went to look up an old city directory to ascertain the storefront occupants we had been discussing in this group recently. Alas -- to my amazement -- the 70-80 years worth of directories that Mr. Lynn had started many years ago -- had been discarded. Thankfully -- they had been offered to the local library -- and I was able to access (at least some) there. My time was short so I only asked for 1955 (as a nice middling year for this discussion) copied the three pertinent pages and was gone. 3. While it is a minor item -- look toward the ceiling in the rear -- where you can see the chimney for the "central heating unit" that provided the warmth for the office in the winter. 4. Last but not least -- for some of the charm of those bygone years -- lower left foreground -- the brass cuspidor!! When I first returned to town to settle (1966), I encountered these in a number of places (the Elk's town club being a prominent one) and while "chewing" has never been among my plentitude of vices, they were handy devices for the discard of many items of dross. If nothing else -- you needed to be aware of their presence --as an unwary kick or stumble might leave your leg stained in a very unpleasant manner. Real estate sales in the Route 66 era was not the big and popular business it later became. The centennial edition of the Courier does not show much real estate for sale and few realtors. Under the heading of "Real Estate" (p. 15) are found both rental property and property for sale. Seven houses were advertised for sale in the Courier on August 26, 1953: one house and furnishings to be auctioned by Col. Wolpert; one for sale by Lynn Parker as agent; one house giving Hegele Bros. as the place to inquire; one with Pearl Musick given as the contact; two offered with only a phone number; and one display ad with a photo of a house on N. Logan Street offered by the Hodnett Agency. 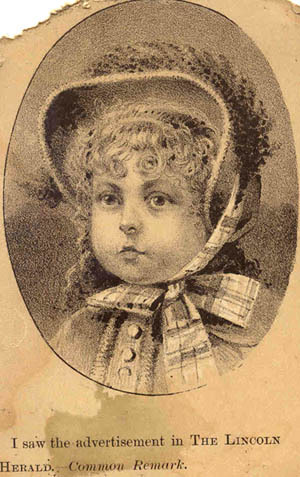 Gehlbach, Nancy Lawrence. "Hard Times in the '30s." Our Times. vol. 4, no. 1, spring, 1999, pp. 1-2. Gleason, Paul E. Lincoln, Illinois: A Pictorial History. St. Louis, MO: G. Bradley Publishing, 1998. Material from Mr. Gleason's books is copyrighted with all rights reserved. Mr. Gleason's material used in this Web site is with permission from the G. Bradley Publishing Company, 461 Des Peres Road, St. Louis, MO 63131. Call 1-800-966-5120 to inquire about purchasing Lincoln, Illinois: A Pictorial History (1998) (200 pages of rare photos and text) or Logan County Pictorial History (2000) (also 200 pages of rare photos and text). Please visit http://gbradleypublishing.com/. Lincoln/Logan County Chamber of Commerce Community Profile & Membership Directory, 1998. Photo courtesy of Village Profile.com, Inc., 33 N. Geneva Street, Elgin, IL 60120. Please visit the Web site of this remarkable company at http://www.villageprofile.com. Lincoln Evening Courier, Centennial Edition, Wednesday, August 27, 1953. · "Lincoln Savings-Loan Founded Here 70 Years Ago," p. 10. 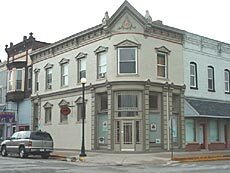 · "Lincoln State Bank Is Oldest in City, Established in 1903," section 5, p. 12. · F.C.W. Koehnle Principal Organizer of German Bank," section 6, p. 7. · "Two Lincoln Banks Now out of Existence," section 8, p. 15. Stringer, Lawrence B. History of Logan County, Illinois, 1911. Evansville, IN: UNIGRAPHIC, INC., 1978. · Chapter 31, "Commercial and Industrial," pp. 537-551. "Richard Georgi, the father of Walter Georgi, Sr. (1886-1962), began a blacksmith shop at the corner of Logan and Clinton Streets. Walter Georgi, Sr., followed his father in this trade at this location, which this family affectionately referred to as "the shop." Richard Georgi's performed "all kinds of wagon work, painting, horseshoeing, etc. The work of "the shop" "held fascination for many people, young people especially. Walter Georgi was kept busy by doing repair work for people and his specialty was the plowshares that had to be gotten ready for the spring planting. When the spring season would arrive, Mr. Georgi spent long hours working over the forge and there would be lines of plowshares on the floor waiting for the farmers to come by and pick them up. He did a great deal of welding in his work. The building was brick with a brick floor and it was drafty in the winter, but there was a stove situated in the center of the building, where you would find Mr. Georgi and his friends quite often discussing the matters of the day. He was an industrious, hard-working man who had many friends. 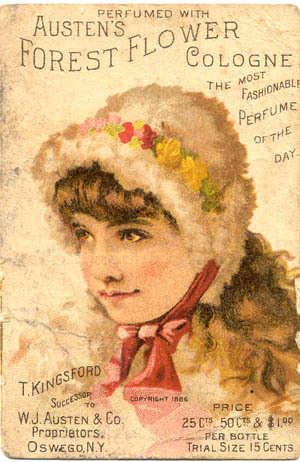 Johanna Georgi [Walter's wife], before her marriage, worked in the Boyd Clothing Store, selling hats and then became a beautician and was one of the first owner-operators of a beauty shop in Lincoln. . . She was a very good cook and enjoyed sewing, raising house plants, and participating in the activities of the Zion Lutheran Church and its Missionary Society" (p. 297). A complete history of this company, "Lincoln Coca-Cola Bottling" by Nancy Lawrence Gehlbach appears in Our Times, 7.1, winter, 2002, pp. 7 and 8. Howard Vaughn bought the franchise to bottle Coca-Cola in 1910. At first the company was located at 307-311 N. Chicago Street. 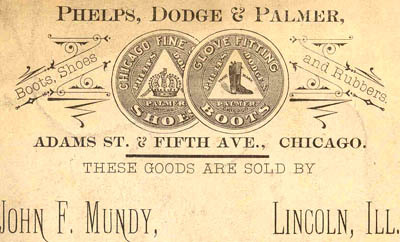 Howard's son, James ("Jimmy"), continued the business, which was later located at 221-23 South Kickapoo Street. "Over the years, the Vaughn family ran the concession stand at the Chautauqua; mixed other flavored carbonated drinks; had the Budweiser distributorship (though it didn't bottle the beer); and sold Wrigley gum, Hershey bars, and Snickers from its delivery trucks. But Coca-Cola was its main business" (Gehlbach, p. 7). 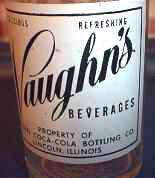 Vaughn's plant also bottled "B-1 (a lemon-lime drink), Vaughn flavors in a 7-ounce clear bottle with the name Vaughn in white paint [as seen in 19.12 above], and Orange and Grape Crush" (p. 7). Jimmy Vaughn sold his business in 1976 to Coca-Cola Bottling Company of Southern Illinois. Mrs. Gelhbach's article thoroughly describes the production process and distribution. In her usual effective manner, she presents information from people directly involved, including in this case such people as the late Pete Andrews, Carol Poole Schmidt, Elmer Snyder, and Jimmy Vaughn's daughter, Susan Vaughn Lessen. Susan continues the practice, begun by her grandfather, of drinking Coke without the ice that dilutes it and weakens its distinctive flavor. 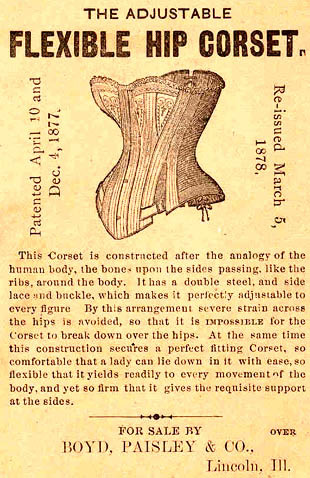 A 1/4-page ad for this company appears in the centennial edition of the Lincoln Evening Courier, Centennial Edition, Section Three, page 15. In addition to Builders' Supply Co. pictured below, Alexander's Lumber Company was a major source of lumber for local construction. 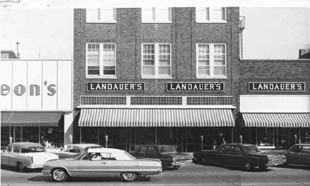 Alexander's Lumber was located on Sangamon Street in the same block as Lauer Hardware. A history of Mitchell-Newhouse appears in Paul Beaver's Logan County History 1982: "On April 1, 1954, Mitchell-Newhouse Lumber Company was founded by David J. Mitchell, Roger E. Mitchell, Luther J. Newhouse and Bessie Gallagher. 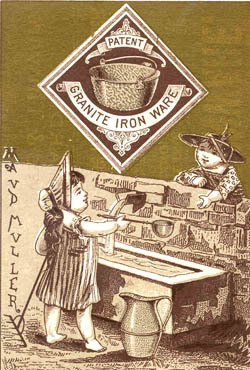 The founders had been employed by Spellman and Company for an accumulated total service of over 100 years. With forced retirement of David J. Mitchell and other management changes, they decided to start their own business. The business was located at 910 Woodlawn Road and was purchased from the Weldon Huffacker family which had operated a truck sales and repair business in the concrete block building located there. The concrete block building was converted to provide an office and sales area in the front third of the building with the remaining area used as lumber storage. In 1958 the first open lumber storage building was built and was later doubled in size in 1960. A steelclad pole building was erected in 1973 for fork truck handling of bulk building materials. An addition was added to the main sales area to house a full kitchen and bath sales area. 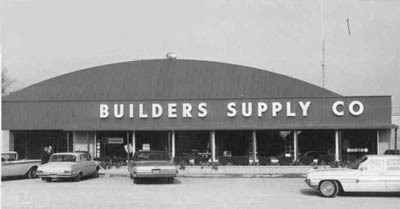 The spring of 1977 brought about the biggest change in our business with a complete interior and exterior remodeling of the original building to triple our sales and display area to provide customers with a larger selection of home improvement items, and to display these materials for easy customer selection. At the same time both storage buildings were converted to provide better storage of bulk building materials and for better utilization of existing space" (p. 625). 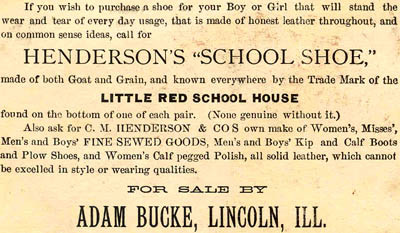 19.16: Ad from Official County Plat Book and Farmers' Directory of Logan County, Illinois, p. 4. Davis, 505 Broadway; Dierker's on Broadway, French's on Pulaski, Gossett's , and Malerich and Sons. Boyd and Paisley Dry Goods and Millinery was located in the Gillett Building at the corner of Broadway and Kickapoo Streets and was major retailer in the late nineteenth and early twentieth centuries. The following ad was generously provided by Dave Armbrust, LCHS noble Class of 1960. Fullerton's; Hegele Brothers, Pulaski St.
Drug stores in the Route 66 era in Lincoln included Alvey's at the corner of Broadway and Chicago Streets, Boss's on Broadway, Feuerbacher's on Pulaski, and Pfau's on Kickapoo (on the square). 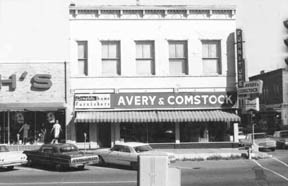 The Alvey Drugstore has always been located at the corner of Broadway and Chicago Streets. 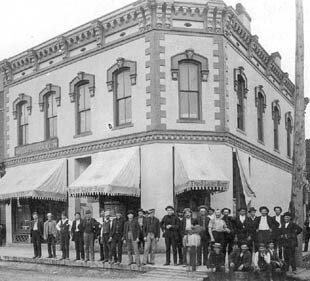 The original business was located in the [2nd] Lincoln House (hotel), built in 1872 by John Gillett, one of the three founders of the city. Homer W. Alvey, Sr., came to Lincoln from Ada, Ohio, in 1902 to be the pharmacist of T. Fuson, Lincoln's mayor, who also owned a drug store at another location on Broadway. Homer Alvey, Sr., was a pharmacist in Lincoln for 53 years (Beaver, p. 626). 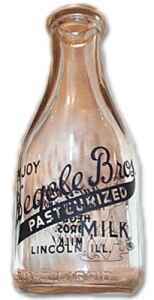 "In the early days sodas were made from home-made ice cream and syrups for ten cents. Varieties were endless: marshmallow, caramel, maple nut were favorites. Ice cream was a luxury. Fountains in stores were not open in winter time. In the summer ice cream was brought from Peoria in large wooden buckets which had to be hand packed with crushed ice each night. Soft drinks of green river, coke and root beer were popular at five cents. In the 1920s housewives bought spices and herbs. 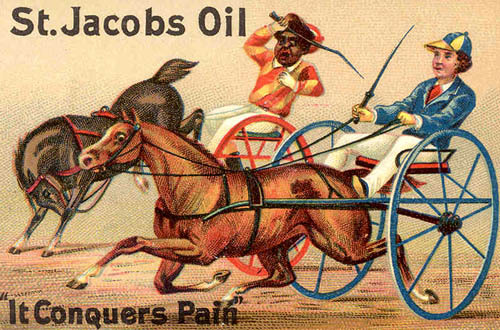 Farmers secured their hog cholera serum and vaccine from pharmacies. 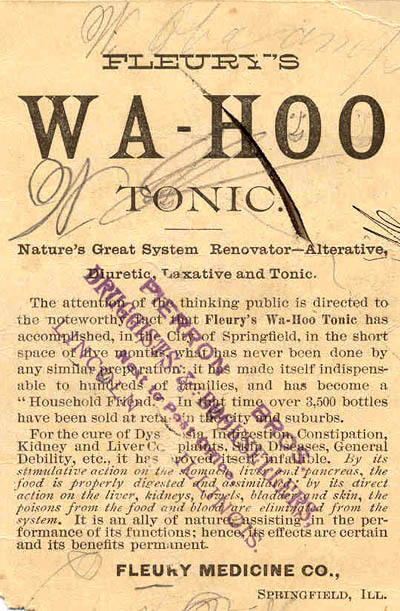 On the shelves were common remedies, such as : Pe-ru-na, Crazy Water Crystals, Swamp "Root, Lydia E. Pinkham and Hadacol." The interurban ran next to Alvey's on Chicago Street. When the interurban began, that railroad had no ticket office, so the drugstore was used for that purpose. "The Chicago and Alton Depot was then located [directly] across the tracks [from Alvey's] on the right side of Elm Park on Sangamon Street, facing the tracks and the Lincoln House. Many celebrities, including Woodrow Wilson, Theodore Roosevelt and Chief Justice Hughes spoke from the platforms in Elm Park when they were candidates for the Presidency" (p. 626). "Mr. Alvey, Sr., and the late W.H. Conley were ardent White Sox fans during the World Championship Series between the White Sox and the Cubs in 1906. Mr. Conley, whose grain office was across the street on Broadway from the drugstore, and Mr. Alvey decided to show their spirit to the public and stretched a rope, across Broadway, 30 ft. high and suspended a 6 ft. white sock made of canvas from it. The White Sox won, much to the Cub fans' disapproval" (p. 626). Biographical information about the Alvey family appears in Paul Beaver's Logan County History 1982 on p. 155. The above photo shows that the top floors of the Lincoln House, seen in 19.19, had been removed some time prior to the 1954 photo, which was sent to Fred Blanford by LCHS Alums Dottie and Bud Huffaker of Chatham, Illinois. Respond to the Huffakers at whuffa@msn.com. Fred emailed this photo to 160+ LCHS alums of mid-20th Century. 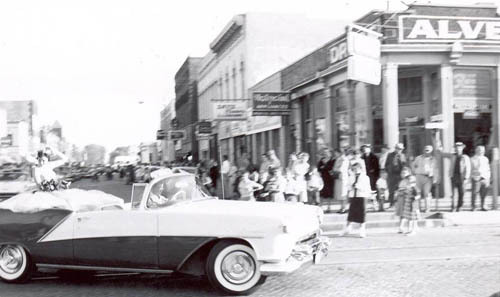 The scene is the corner of Broadway and Chicago Streets during the 1953-54 Lincoln Community High School homecoming parade. The young lady is only temporarily unidentified; she is most likely a homecoming queen attendant -- senior queen attendant? Class of 1953 attendant, etc.? "Spent many hours at the "fountain" there as the teenage "soda jerk" made wonderfully sweet (chocolate, cherry or green flavored--was the green supposed to be lime?) flavored cokes. Never much cared for the bottled product -- but the flavored and supersweet fountain cokes were very drinkable. She/they (was one of the "jerks" an older sister to the Janet brothers?) indicated that shutting off and restarting the flow from the fountain added extra sweetener (coke basis) to the carbonated water. Cannot state this to be a fact--but it seemed to work at the time. Stopped there many times while enroute to Bree's to play pocket pool (with a capital P and that rhymes with T -- and you see how it corrupted all of us) with the other friends I consorted with" (email to162 LCHS alums, 2-2-03). "The two sisters who worked the fountain at Alvey's were Pat and Janet Brosamer. Pat is back in Lincoln now. Her husband's name was Tom Berger, a friend of my husband in the 50's. I believe Tom was a physicist in Virginia and a graduate in the 50's of New Holland High." My husband told me the foundation of Alvey's was originally thick wooden timbers with brick on top. He was working for Paul Klem when he showed him. I don't know if that changed when Alvey's was remodelled or not" (email to Fred and Leigh, 2-3-03). Respond to Carla at dcjupiter@webtv.net. Oh, to have been the proverbial fly on the wall to hear just what was said that so amused Homer Alvey, Jr., and evoked the "oh my god" expression on Mr. Randolph's face and the passively amused countenance of Mr. Sapp, with his trademark unlighted cigar in mouth. 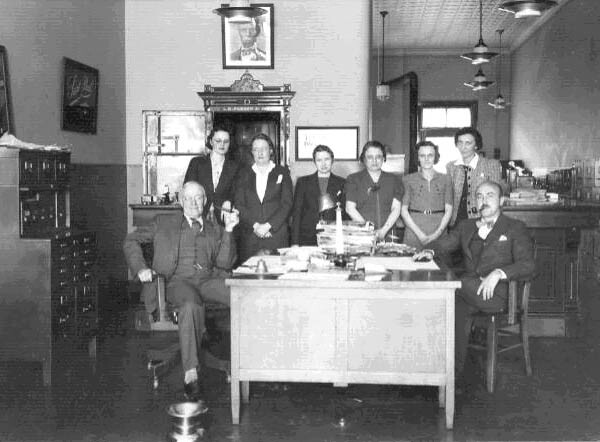 At the back of the above photo, note the sign of the Thudiums' Lincoln Office Supply through the window (photo of Lincoln Office below). The caption from Gleason's Lincoln: A Pictorial History reads "Alvey's store -- who can forget it? Perhaps as many political decisions were made at Alvey's over the years as prescriptions were dispensed. 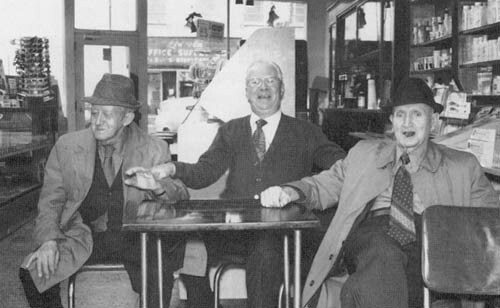 There one could expect to find left to right, William Randolph, Homer Alvey [Jr.], and Logan County Republican Chairman Joe Sapp, as well as Republican Vice Chairman Vince Boughan and others of the 'old school of backroom politics'" (Gleason, p. 93). Darold Henson tells me that Joe Sapp was the "right hand man" of Illinois Governor William G. Stratton during the 1950s. Above, Joe appears with his trademark unlighted cigar. All in the photo wear ties, a standard feature of professional men's apparel in those times. I was one of the countless beneficiaries of Joe Sapp, a long-time family friend. His elderly parents had lived across Fifth Street from my father's childhood home (squirrels in the tree tops jumping back and forth across Business Route 66) . A few years older than my father, Joe Sapp had been one of my Dad's baseball mentors. Dad has told me that after games the team would refresh themselves at Bushel's Tavern, where Mr. Sapp and Dad's other older teammates would attempt to get him drunk. According to Dad, they never succeeded. Mr. Sapp knew that everyone in my family -- both sides -- voted Republican, so he got me two summer jobs. In the summer of 1960, after my high school graduation, he got me a job with the Illinois Department of Conservation that had me working on the old game farm located at the northwest corner of the Illinois State Fairgrounds, now the site of the new Department of Natural Resources Headquarters. My dad arranged for me to ride -- a dollar a day gas money -- with a lady who worked for the state in Springfield. Bing McCullough was also a passenger. Just another way folks from Lincoln got their kicks on Route 66! During the State Fair that summer, I worked at the Conservation exhibit (in the Centennial Building), where my job was scooping out dead fish from display tanks and replacing them from horse troughs with aerated water at the side of the building. The main attraction that year was a 200-pound, 200-year-old snapping turtle that the Department folks had taken from the Big (or Little) Muddy River in southern Illinois. This behemoth was grotesquely displayed in a small, round, shallow center pool that had originally been intended to exhibit panfish. The old snapper had a huge parrot-like beak that, I was told, could snap a man's leg in half. Fairgoers threw coins at the poor old creature to try to get it to move, blink an eye, or otherwise show some sign of life, ignorant of the fact that it was not adapting to captivity, was not eating the livers thrown to it at night, and was slowly dying. It would not be attending the next fair. Other than this pathetic situation, my job there was "cool," and I wore hand-painted, pinstriped sunglasses accordingly. I felt no pressure from the Department honchos who sat around looking important in their uniforms, retreating to the air-conditioned office to use the phone to make golf dates. In the summer before my senior year at Illinois State, Mr. Sapp got me a job at the Lincoln State School. Then, I worked in the store taking inventory and in the commissary of the "Farm" as a short-order cook -- a bit less glamorous than working in the Conservation Department's State Fair exhibit, but interesting to deal with hardworking patients. Note: early in 2008, Bevan Alvey emailed me to introduce himself and express his pleasure in finding this Web site. I then invited him to write about his memory of Alvey's drugstore, and the result is the wonderful, evocative essay that follows. My name is Bevan Alvey. My great uncle Frank Bevan was the famous Judge who presided over the infamous pinball trials. My uncle was Homer Alvey of Alvey's drugs. Two of my favorite adult friends were Joe Sapp and "Little Billy" Randolf. I think I took the picture you have of the three of them at Alvey's drugs [scroll up to see it]. The Lincoln website is like having a window to my childhood. Like you, I worked in the [McKinstry] lemonade stand with the Fults brothers. Joe Sapp got me the job. I was a "spoiled" prep school kid and from a fairly well-to-do family and as such they did not like me much. As I recall they got quite a bit of enjoyment out of humiliating me except when it reflected poorly upon them with Jim Mckinstry [owner of various refreshment stands at the Logan County and State Fairs]. I have vivid recollections of sliced fingers and lemonade juice. I also remember knocking over the cash box at the height of the grandstand rush one Saturday night. I have had a lot of difficult situations to deal with in my life, but that job I think was the worst. I was in the constant state of fear, humiliation, exhaustion and burning fingers. Your descriptions are so vivid and timely that I wonder if we knew each other? I think I worked there two summers around 1961-1962. I just recently found your Website on Lincoln and have been overwhelmed with the fond memories it has rekindled. I can't tell you how much I miss those days walking into the Drug store and seeing George or Lennie Janet behind the counter and Uncle Homer peering out through the peep hole. I think I had more happiness in those days than at any other time in my life. I have a lot of fond memories of the drug store, Joe Sapp and Billy Randolph. Do you remember Carson Culleton? He was like a big brother to me, and it was one of the worst blows to me in life when he was killed. My father, Tom, was very well known in Lincoln as well. He was a football star and war hero. After a career in the Army, he renewed his pharmacy licenses and worked with Homer for about ten years in the drug store. Thank you again for all your work on this. I can't tell you how much this all means to me. My memories of “Alvey’s” start with visits to Lincoln beginning in the late 1950’s. At that time my father, Tom Alvey, was a Lt. Col in the Regular Army so our contact with Alvey’s came on semi-annual family visits to Lincoln. At that time my grandfather, “Granddad” Homer Alvey, was semi-retired with his son, Homer “Watt” Alvey, in charge. 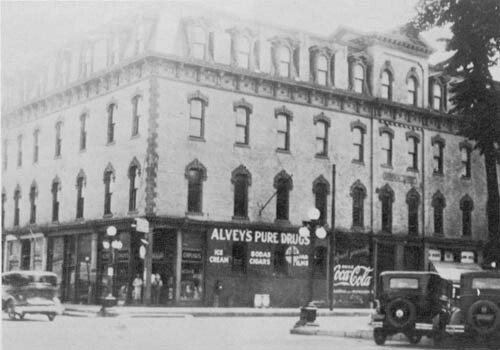 Alvey’s was started in the early 1900s by Grandfather Alvey at the same time his brother “Uncle Bob” started another drug store in Clinton, IL. 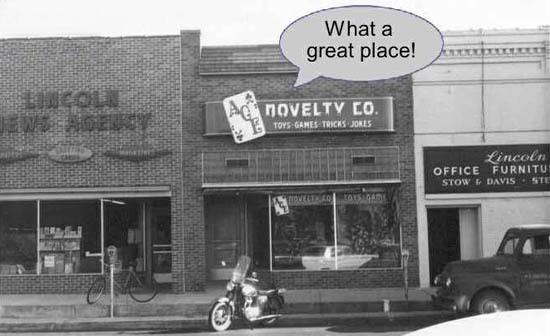 In those days Alvey’s was more than just drugs, probably more like the old “general store” of its day. One of the more exotic items in its day was barrels of fresh oysters packed in salt brine shipped by rail from the east coast during holiday seasons. This led to the oddity of oyster casserole as a traditional Thanksgiving and Christmas dish in the land-locked Alvey household. In my youth the center of attention was always the soda fountain. A majestic grey and black marble counter fronted by five spinning stools and backed by a mahogany wall casement adorned with engraved antique glass jars that formerly held exotically named drugs like Pv. Myrrha, Syr. Scillae, Limonis. The big red Coca Cola machine mixer and dispenser was the center of attention, but the with a wide variety of fresh syrups for cherry cokes, green rivers, chocolate cokes, ice cream floats, sodas, and Sundays, no need went unmet. Next, came the case with spinning trays of fresh warm nuts of multiple varieties. Finally, came the news stand with all the most popular newspapers and magazines. Across from the soda fountain were the main cash register and the candy case. The candy display was the last stop on the way out the door. I can’t remember a time leaving when Uncle Homer didn’t ask me if there wasn’t something sweet he could send with me. With mainstays like “Little Billy” Randolph, “Joe” Sapp, “Doc” Jerry Owings, Don Holland, the Barrys, the Goebel brothers, Vic Thudium, and many, many others there was a contestant stream of entertaining conversations about politics, local gossip, sports, funny stories and off color jokes. Of all the characters that flowed in and out of Alvey’s, Joe Sapp was my favorite. Joe and his best friend “Billy” Randolph were a veritable comedy act in motion every day. The-always cigar-chewing (but not smoking) Joe was a constant source of good humor with “Billy’ as his straight man or fall guy depending on the situation. Joe was one of those special people who always knew the inside scoop on everything going on in local and national politics. And, Joe’s connections were legendary. Any young (Republican!) person who needed a job could find one through Joe. I will never forget the sparkle in his eyes and the sly but warm smile that seemed to always be there. The Alvey’s gang seemed evenly divided between Cub and Cardinal fans with a few oddball White Sox fans to boot. During football season it was all Illini and Bears fans. Lincoln High sports were always a hot topic as well. Uncle Homer always had at least one or two part-time high school students employed to run the soda fountain and cash register up front. Chosen for their work ethic and outstanding character, some of them became my best older friends in Lincoln. My favorites were Carson Culleton, George and Lenny Janet. Lenny used to entertain me by catching flies in mid-air with one hand. These fine young men were like big brothers to me. One of the darkest days of my youth was the day my Father told me Carson had been killed in Vietnam. I think of him and miss him to this day. My father, Tom, was also trained to be a pharmacist and started out working in the drug store with his father and brother. Dad was also a reserve officer in the Illinois Army National Guard and went on active duty a few years before WWII started. After the War he made a career of the Army until he retired in 1961. Tom then renewed his pharmacy licenses and practiced at Alvey’s for a number of years before he retired completely. Over the years whenever I returned to Lincoln for family visits always the first stop, the morning after my return, was a visit to Uncle Homer and the drug store. My young sons also had a chance to spin on the fountain stools, taste the sodas and be indulged by their Great Uncle. Uncle Homer ran the drug store all the way up until his untimely death. While walking his beloved dog one evening, he was stricken by a heart attack. Coincidently, my father was walking his dogs on the same street, at the same time, and was the first person to come upon the scene. Uncle Homer died in his brother’s arms, and all but the memory of Alvey’s drug store died with him. I would like to share with you my memories of Carson Culleton. My father was a regular Army officer, decorated hero of WW II and an extremely good judge of character. When Carson worked at Alvey's, he and my father became very close friends. I know my father admired and respected Carson as highly as any young man he ever knew. This is not mild praise as my father worked with fine young men all his life. In some respects my dad was as close to Carson as he was to his own children. Carson was four years older than me, but at the age of fifteen it seemed liked a generation. In those days young men did not have much in common with fifteen year old boys. I was from a somewhat snobby family and was sent to an elite Eastern prep school beginning in the eighth grade. As such even the Lincoln boys my age did not have much to do with me. Despite all of this Carson befriended me like no other older boy I knew. I can still see clearly his smile and hear the warm greeting Carson would give me every time I walked into the drug store. He was the type of person who just made you feel good about yourself. There was something very special about how he could reach out and connect on a level of warmth and camaraderie. Carson had a little of the Devil in him as well and could kid around with the best of them. There was always a sparkle in his eye as if to say “don’t take life too seriously or you will miss all the fun." Despite his warmth, humor and kindness Carson was widely admired as “man’s man." He had an inner strength and calmness about him that drew other men to him as a leader. Through contacts my father had in the Army and correspondence from Carson, my father had some insights into Carson’s service in Vietnam. Carson excelled in infantry training and was identified early in his service to be a fine soldier and inspirational leader of men. At that time the Vietnam War was raging at probably its most intense phase. It is not well known that during the Vietnam War only about 20% of the American soldiers were actually engaged in active combat operations. The rest of the soldiers were engaged in support roles in very secure areas. Just because someone served in Vietnam does not mean they did anything more dangerous than drive a cab in New York City. But for the soldiers that actually served in combat units in the field, the danger and casualty rates were staggering. During the time Carson served in Vietnam combat units like his routinely suffered fifty to sixty percent casualties (killed or wounded) over the course of a year. Furthermore, a soldier’s job in a combat unit also had a lot to do with his chances of survival. Carson volunteered for and served in the most dangerous role of all. Because of his hard work and leadership, he rose to the rank of Sergeant and served as a squad leader. When the situation was most dangerous, he was the person who had to lead his troops when they were most afraid and in danger of losing their lives. He had to overcome his own fears and lead by example. That meant at the most dangerous moments he had to move and show himself to the enemy in order to lead his men. As result of his service, he was decorated for bravery and valor in the face of the enemy. During Carson’s service it was his unit’s policy that soldiers served in field combat operations for six months then were rotated back to a more secure area in a less dangerous position for their last six months. I recall my father telling me that Carson resisted returning to the rear for as long as he could but eventually was ordered to a more secure area to serve out his remaining months in country. It was a tragic irony that he was killed by a mortar attack while serving in a more secure area. Several years after Carson’s death I also served in Vietnam as a lieutenant in a combat unit. I experienced some terrible things, but nothing ever affected me more than the news of Carson’s death. Somehow I was never able to accept his death. I couldn’t even muster the strength to attend his funeral. To this day I suffer from his loss. You should know that though Carson’s life was short his spirit burned exceedingly bright in my father’s and my life. As I have aged, I have learned it is not how long you live but how you live. By that standard Carson lived many lives. Thank you again for all your work on this Web site. I can't tell you how much this all means to me. Bevan Alvey is a true "Lincolnite at heart" as indicated by his perceptive essay. Please express your gratitude by responding to him at bevanalvey@hotmail.com. The Lincoln Evening Courier, Centennial Edition, Section Four, August 26, 1953, p. 5, presents a half-page ad for "Boss Drugs" that includes the following: "Now! Open display. Serve yourself service. Shop and look to your heart's content! No turnstiles. No check-out lanes. 10,000 items plainly marked and displayed at your fingertips." The story of the store's founders, Marvin H. and Blanche Boss, is found in Paul Beaver's Logan County History 1982, p. 203. The 1953 Centennial Edition of the Lincoln Evening Courier contains ads for Gullett and Sons, Carl Hembreiker Florist, and Otto Hembreiker Florist. This edition of the Courier also contains short articles on all three operations, as cited in places below. 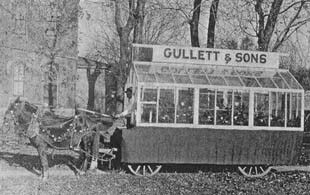 The Gulletts' enterprise was one of the oldest businesses in Lincoln, beginning in 1865, and one of the largest suppliers of flowers to the nation in the early 20th Century. The greenhouse operation ceased in 1961, the floral shop on Tremont closing in 1966 ("Everything's Coming up Roses," Our Times, 3.1, spring, 1998, p. 3). According to Paul Beaver's Logan County History 1982, "Raising roses was a specialty of the firm. Four to five million were cut annually. Carnations, chrysanthemums, and snapdragons also were grown in quantity. Other cut flowers produced were gardenias, camellias, asters, gladiolas, delphinium, etc. Also potted plants were grown: cyclamen, hydrangeas, African violets begonias, geraniums, tulips, hyacinths, azaleas, green plants and various others. Production focused on three large market days: Mothers' Day, Christmas, and Easter. 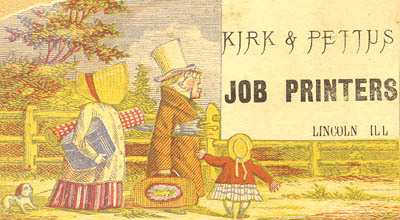 Principal markets were in the Midwest, South, and southeastern parts of the U.S. Employees numbered from 70 to 150 in peak years" ("Gullett & Sons, Inc.," p. 52). 19.31: Chimney Construction on Tremont St.
Nancy Lawrence Gehlbach's article contains interesting personal observations from people whom she interviewed, including members of the Gullett family, neighbors, and other citizens. Between the tall chimneys and Limit Street in the background is a pond used to supply water to the operation. 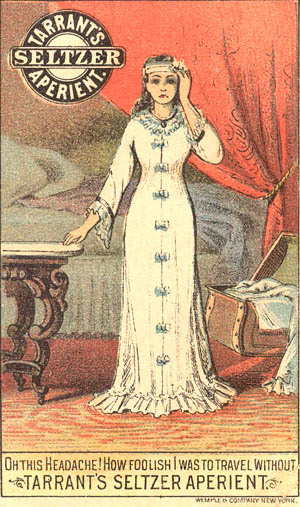 "The third daughter of Wilbur and Mildred Gullett, Julia [Gullett Holth] lives in Florida. She remembers fishing in the lake. . . " (Gehlbach, "20 Acres Under Glass," Our Times, spring, 1998, p. 6). The second Gullett residence noted here was constructed by the Wilber Gullett family in 1922. It has been described by the Stuart Wynekens, its present occupants. Mr. Wyneken is the grandson of Wilbur Gullett. The Wynekens identify the architectural style of their home as 'English Tudor featuring "an original Vermont slate roof, copper gutters and multi-paned windows.' The home received the 1999 Mayor's Award for Historical Preservation" (lincolndailynews.com, May 8, 2000). I am unsure if the first Gullett house survives, but the second Gullett residence is just one of the many remaining historic houses that people enjoy seeing when they drive through Lincoln's traditional neighborhoods. Historic houses of various styles may be observed -- Craftsman, Greek Revival, Italiante, Second Empire, Spanish, Tudor, and Victorian. Stan Stringer wrote, "As kids we'd walk out there [Gullett's], and look at the roses that had been pruned and discarded. Pick up a bouquet of rejects (that still look good to us) and bring them home for mom." It was an adventuresome bike ride from my 'Northend' of town. The present Cilco property was cleared of what was a 'wonderful playland'-- an old auto graveyard that also provided many hours of exploring. Gullett's fostered what in retrospect was a program that was decades ahead of its time -- recycling. They bought old newspapers @ a penny a pound (if memory serves) which they used in their packing/shipping. I had done this as a young child even before then and when I joined the Scout troop (102 that provided the skywatchers) -- you could only get their specially designed unique neckerchief --by participating in the troop's paper drives -- and selling the papers to Gullett's. I'm a little fuzzy -- but think the troop got all the money and you earned the kerchief by the number of hours you contributed. The memory is very fuzzy -- but again your nudge -- I do have a slight recollection of the animals grazing in the lot around the jail property. To this day, my wife and I take an evening "buggy ride" around town -- to wind down and many times to just 'gather wool,' as my grandmomma called it. I remember dad taking us by to see the animals (I didn't remember sheep specifically) there grazing on one such buggy ride. 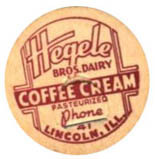 No a/c, no TV -- buggy rides were cooling -- and often ended at Hegele's. 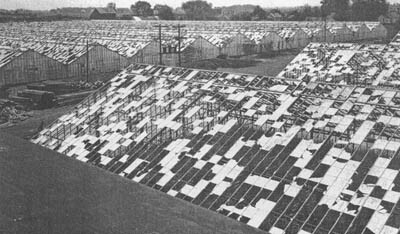 Twenty-one greenhouses of the type pictured would be a lot of work space requiring a lot of laborers--and in 1903--80,000 of anything--was a lot of whatever. I cannot document "the largest acreage under glass in the world" boast that I heard repeated many times as a youth--but do know that about 1967 while stationed in Southern Arizona--when a guy heard I was from Lincoln--he asked how Gulletts was getting along. As a younger civilian--he had been somehow involved in the retail flower biz and told me that Gulletts was legendary--repeating the quoted boast above. The claim obviously circulated further than the limits of Logan County. Fred...I read your email about Gullett's Greenhouse. It brought back some memories for me also. When I was in grade school, we lived in the 300 block of North Hamilton. 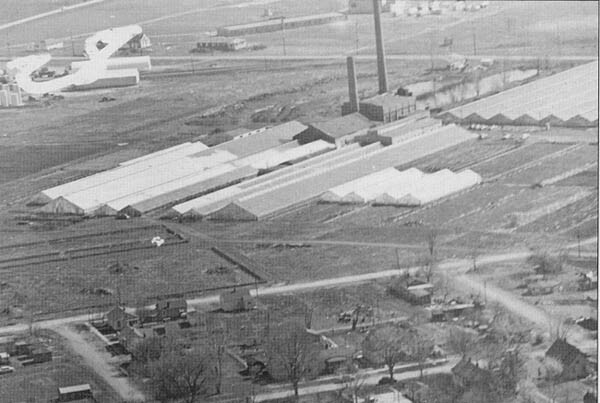 Gulletts also had greenhouses on the east end of Tremont, (within walking distance of our house), taking in the entire area where the trailer park is now and extending over to Limit Street. As a child, I used to go over there with a neighbor and get flowers that were discarded. It was quite a treat for us. And, to make a little spending money, we would collect old newspapers in the neighborhood and sell them to Gulletts (they used them for packing). I think the statement about them being the largest greenhouse in the world could very well be true. I was going to let Fred's "Lincoln Views" pass without comment, but Chuck Lansford's story of his and John Dehner's employment at Gullett's has proven irresistible. In the spring and summer of '59, I got my first real job with a real pay check at Gullett's wholesale operation on the southeast edge of town. By that time pay had shot all the way up to $1.10 per hour. My weekly pay check was around $36 and I was in the chips. Oh, what a young buck could do on $36 a week. My first day's task, one that repeated often, was to mix equal parts of that rich Illinois loam and manure in a large concrete bin with steam pipes in the bottom, cover it with a tarp, and "cook" it. When I got home from my first day's work, and my mother took a whiff of her eldest son, I took great delight in explaining all about my new job as a "s*** cooker". I recall working with several Hungarian immigrants who had fled the repressive Soviet military action of 1956 and being so impressed with their work ethic, though I was unimpressed that Hungarian women did not shave their legs. I suppose at that age I gave very little thought to the dire circumstances that brought them to a job in the heart of the midwest. I think our schoolmate, John Poszgei(sp? ), class of '61(? ), arrived in Lincoln for those same reasons. Another distinct memory is of old Wilbur Gullett, over 90 years, working every day at the menial tasks of the plant. I suspect by this time he had turned over the business side of Gullett's to others and was content to spend his days engaged with the growing end of things. My memory is of a small wiry man, a stump of unlit cigar in the corner of his mouth, trudging along the maze of aisles in the houses, hauling two buckets of potting soil to his work station. He did not direct the work force, in fact, I don't recall him speaking to us. He simply did his own thing eight hours a day, five days a week. Otto Hembreiker in 1953 owned and operated fourteen greenhouses comprising 50,000 square feet of glass. He had begun working for Gullett and Sons in 1894 at the age of twelve, and he continued to work at Gullett & Sons for thirteen years. Otto's younger brother, Carl, too, worked at Gullett's, under another older brother, William, a foreman, who later owned and operated a large greenhouse in Springfield, Illinois. 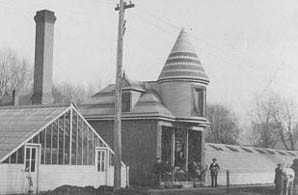 In 1907 Otto began his own greenhouse at 437 Tenth Street, and brother Carl joined this company. 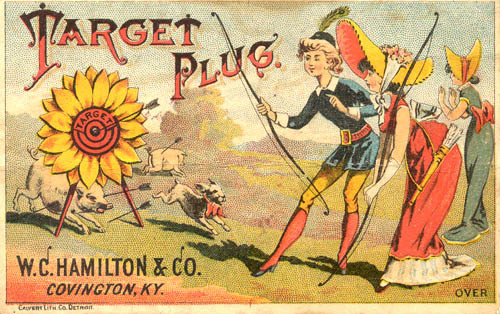 Their product was vegetable plants (mostly lettuce, tomato, and cabbage), and they expanded into growing bedding plants, such as geraniums, and then cut flowers. First deliveries were made with a wheelbarrow before he could afford a horse and wagon. Otto Heimbreiker's motto was "Earth with every plant and a scent with every flower" ("Love for Flowers Began Business of Otto Hembreiker," Lincoln Evening Courier, Centennial Edition, Section Four, p. 10). In 1923, Carl sold his share of Hembreiker Brothers Florists and began his own floral operation with a few blocks. 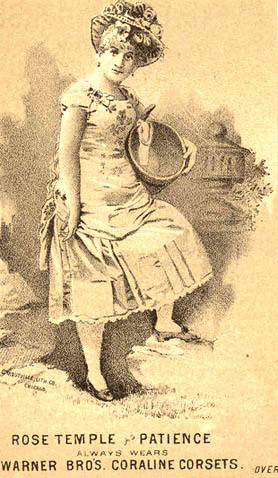 Carl's wife, the former Doris La Villa Camp of Peoria, worked as a partner in the operations. "In 1944 a new office was added to this business, which is the modern curved front brick building on the corner of State and Eight Streets" ("Carl Hembreiker Veteran Florist," Lincoln Evening Courier, section seven, August 26, 1953, p. 10). Carl also provided landscaping service. I recall that on State Street near the round window of Carl Hembreiker's display room a very old and large elm tree had survived the Dutch elm disease that killed most of Lincoln's elm trees. I wonder if he cared for that tree and helped it to survive into the early 1990s, after which it perished. What more logically (and, here, alphabetically) follows from flowers than funeral homes? Fricke-Calvert-Schrader (formerly Dammerman-Fricke, Wright's), corner of Logan and Pulaski Streets, Kerrigan's 401 Delavan Street; and Holland and Barry at Pekin and Kankakee Streets. The photo above shows one of the oldest structures in Lincoln to be used as a funeral home. According to Paul Beaver's Logan County History 1982, Mr. John Boyden first owned and operated this facility as a funeral home in 1893. "Livery stables for horses and carriages were maintained directly across on Pulaski St. The Boyden family, as well as future successors, maintained residence in spacious quarters within the funeral home" (p. 618). 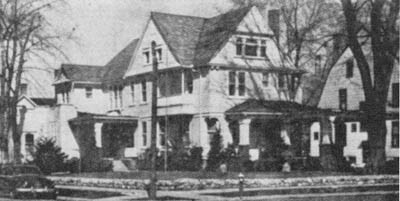 The family of Edwin C. Goff owned and operated a funeral home at this site from 1924 till 1943, when it was purchased by Leigh G. Wright. 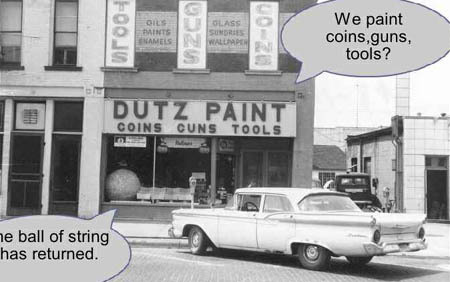 In 1952, the business was sold to the Frickes and Herman Dammerman (p. 618). 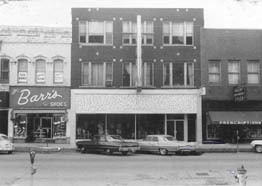 Doty's in the Arcade Building (Hamilton-Elgin, Feature-Lock diamond rings), Edwards' Jewelers at 211 S. Kickapoo Street, and Charter's on Broadway. 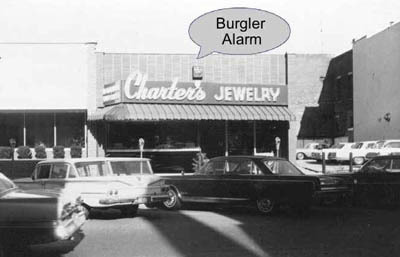 Charter's Jewelry, founded by John Charter, Sr., was originally located in the Lincoln Theater building. 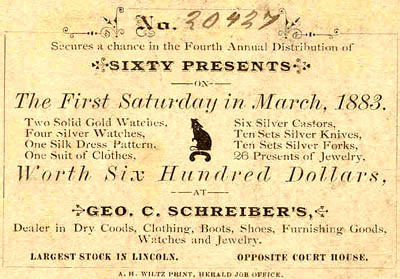 A full-page ad in the Lincoln Evening Courier, Centennial Edition, Section Two, p. 16, lists the merchandise offered as "Hamilton, Elgin, Gruen, and Bulova watches. Keepsake, Orange Blossom and Art Carved diamond rings. Gorham, International and Heirloom sterling. 1847 Rogers, Community Plate, Holmes and Edwards plated ware. Syracuse, Castleton, Haviland, Flintridge, Royal Jackson and Winfield china. Tiffin and Duncan glassware. Krementz, Kreisler, Jacoby-Bender and Speidel, fine Jewelry for men. Trifari, Eisenberg, Kramer, Elgin-American, Deltah and Marvella jewelry for women. Telechron, General Electric and Seth Thomas Clocks. Sunbeam and General Electric appliances. Ronson lighters, Sunbeam, Remington and Schick razors. Justin and King billfolds and leather products. 19.45: It Doesn't Get Any More Miscellaneous Than This. . . Except Maybe for This. . .
fishing and hunting licenses. If you wanted to go squirrel hunting and only had 10 or 15 cents, you could buy two or three shells and if you were a decent shot - could have a couple of squirrels." Respond to Chris at chrishuff@bwsys.net. 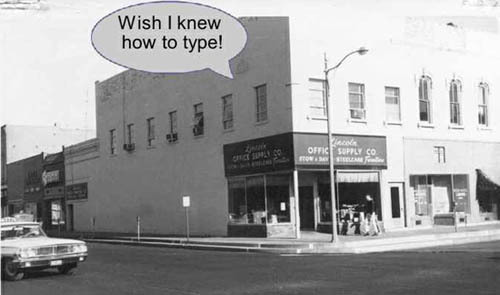 In 1935, Vic(tor) and Geraldine Thudium started their office supply company on south Kickapoo Street. "One of the first sales in this new venture was a fan, sold for $35 on payments of $3.50 per month" (Beaver, p. 609). In 1945, the Thudiums purchased the former "L" tavern building at the corner of Broadway and Chicago Streets, moving the business to this location in the 1950s and incorporating in 1956. Lincoln Office held a franchise for Steelcase products, acquiring and maintaining several large accounts. In 19756 construction of a new facility was begun on Route 10 west of Lincoln (Beaver, p. 609). Because of steady growth, eventually the company headquarters moved to Peoria, and the company was sold. 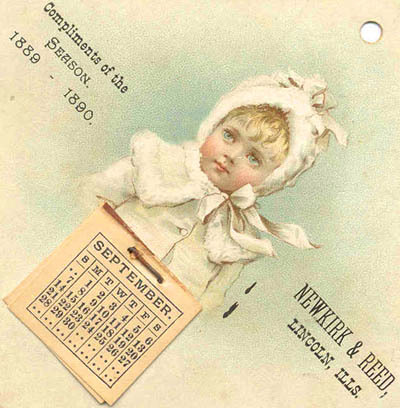 A chronology of this company's "highlights" appears on its Web site at http://www.lincolnoffice.com/company/history.htm, which includes another version of the photo above. Note: During one Easter break from college in the early 1960s, Jim Thudium showed me his ability to drive the company Ford cab-over pickup truck to herd sheep. While I rode with him in this truck one night, he demonstrated this remarkable skill by moonlight in the pasture at the front of Karen Kleinschmidt's parents' farmhouse north of Lincoln near Lawndale. He laughed hysterically while the truck lurched across the rolling field, turning sharply one way, then another. I'm sure it scared me more than the sheep. Telephone directories surviving from yesteryear are rare because typically when a family got an updated version, the old one was thrown away. After more than ten years of looking at memorabilia on eBay relating to Lincoln, Illinois, and browsing in used bookstores, I saw and purchased a telephone directory for the Lincoln area published by the Illinois Commercial Telephone Company. Besides the regular listings, which will be useful to people in search of family history, the classified section at the back of the directory will be especially interesting to history buffs to show the services and products available to area residents of small Midwestern communities in the heart of the land of Lincoln at mid-twentieth century (twelve years before Walmart was founded in 1962). The tips on telephone etiquette are reminiscent of a kinder, gentler society. In view of the vast social changes that have taken place since then, this directory thus becomes a cultural artifact of a former civilization. As a courtesy, I have carefully scanned this entire directory and republished it on this site as a printable PDF: Click to access the January 1950 Telephone Directory for Armington, Atlanta, Elkhart, Lincoln, McLean, and New Holland. Note: this is a 51-page document and will take a couple of minutes to download. 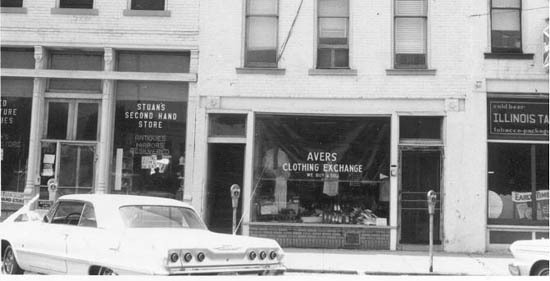 The Landauer family owned one of Lincoln's most enduring retail clothing stores, dating from the 1870s into the 1980s (Beaver, History of Logan County 1982, p. 386). Joseph Landauer, the founder, had married Bertha Kahn, daughter of Solomon Kahn, who "had purchased the Postville Courthouse from the county for $300 in 1848 and opened a mercantile and general store on the first floor of the building" (p. 386). 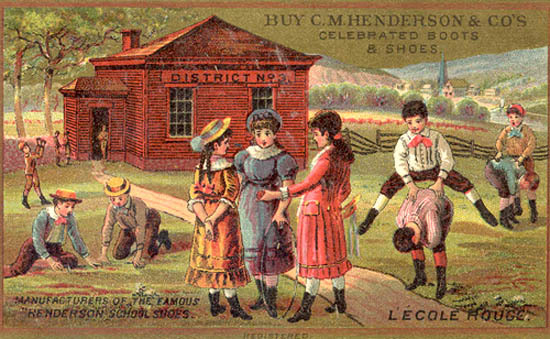 In 1900, Joseph Landauer opened his clothing store at 604-606 Broadway Street on the square. William Maxwell describes the Landauer clothing store in "With Reference to an Incident at a Bridge" (All All the Days and Nights: The Collected Stories, pp. 265-269). For more information on this description, see 5. Social Class & Race in William Maxwell's Writings Set in Lincoln, Illinois. 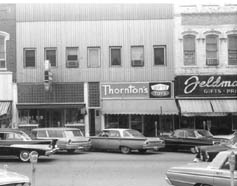 Joseph's sons, Nathan (Nate) and Julius, moved the men's and women's clothing store to 608-610 Broadway Street. In 1931, the business was rebuilt, following a disastrous fire. 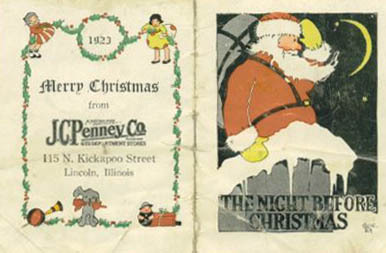 In 1935, the store was sold to Nate's son, Norman. His nephew, Cary Block, became co-owner upon Norman's death in 1977 (Beaver, p. 386). 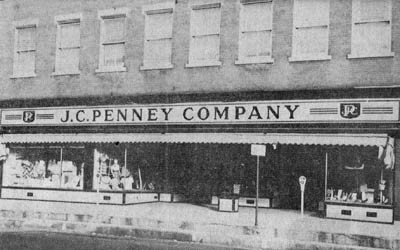 Old photos of stores on the square in the 1900s show they often had large awnings. The photos above show that even in mid-20th Century Broadway Street storefronts on the square had distinct awnings. The store fronts in the above photos were on Kickapoo Street on the square, the same block shown above in 19.1. A close comparison of the second stories of the left and middle stores of 19.40 to the second stories of the middle in 19.1 shows the same architectural features, especially in the windows' designs. Note the 1950s and '60s vehicle designs. · No articles focusing on general business but a few ads for such retailers (in order published) as Hanger's, Julius Jacobs & Co., Purcell Book Store, Sears Roebuck and Co., Spurgeon's, J.C. Penny, Roy Clappers Tire and Appliance, Landauer's, Lincoln Paper Co., Schoen's Shoes, Alvey's Drug Store, Charter's Jewelry, Avery & Comstock, the Lincoln Hardware Co., the Lincoln Camera Shop, Doty's, Spellman and Co., and the Music Shop. 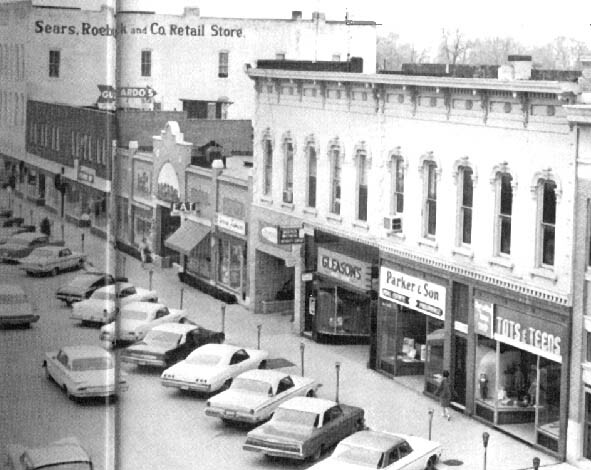 · One-page section titled "Business," with photos of the Dehner Block and Lincoln Business College, p. 43. 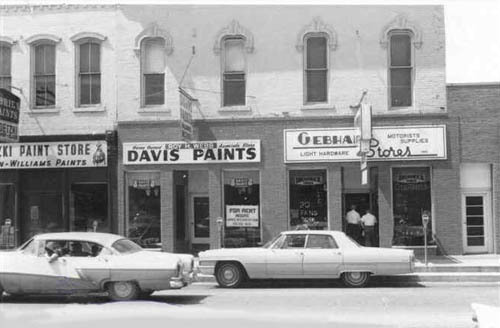 · Section titled "General Businesses" with photos of street scenes in the downtown area, including photos of man exteriors and a few interiors (Alvey's, Jacob Stuckel's National Cigar Store, and Denger's Grocery). 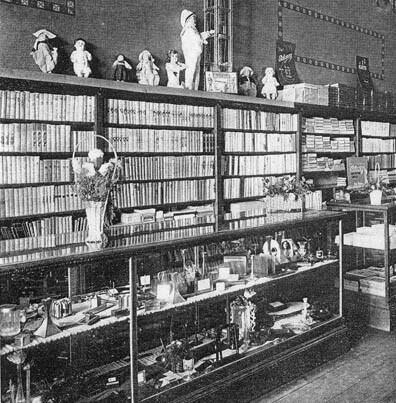 · "John A. Lutz Drygoods Store Had Been a Part of Illinois for over Seventy-Five Years," p. 13. 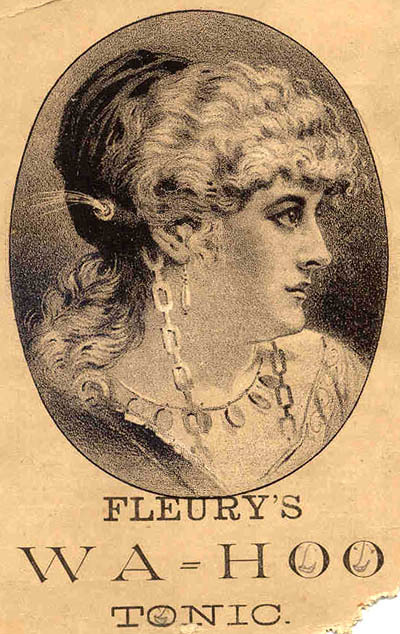 · Numerous ads, including full-page ads, for such major retailers as Avery & Comstock; Boss Drugs; Feldman's Paints, Wallpapers, and Gifts; Hursh Television (two full pages); Landauer's; and Myers. · Chapter 31: "Commercial and Industrial," pp. 537-551, deals mainly with early manufacturing. · Information about general business is limited and found mainly in Chapter 33: "City of Lincoln," pp. 560-586, with descriptions of early commerce and stores in Postville and Lincoln. Building received award for exterior rehabilitation. All images below are courtesy of Dave Armbrust. Email him at armbrust@ccaonline.com.